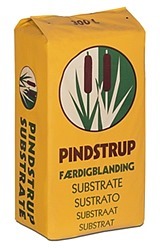 A substrate designed specifically for bedding plants. Bedding Gold is based on pure milled sphagnum peat (three quarter blonde / one quarter dark) mixed with 30 % Forest Gold. Bedding Gold is of the highest quality, but because of the raw material it is available at competitive prices.